A little over a month ago a great music consultant, Suzanne Paulinski let me know she found the info here useful for her clients. Cool, right? So, I took the liberty of stalking her doing research about all the stuff she’s doing at The Rock/Star Advocate. We’ll just call her THE Gladiator and you’ll have to find out why she’s the “Olivia Pope of the music industry”. 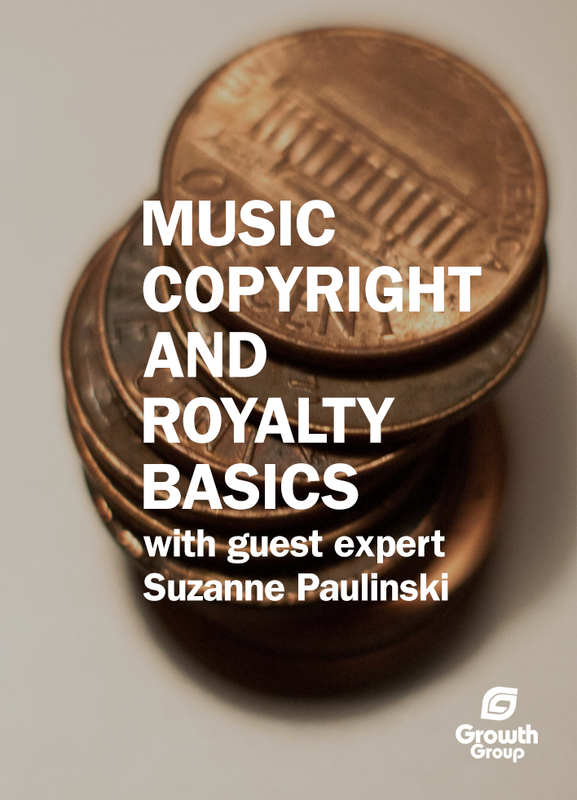 Today, Suzanne is going to give you the basics of music copyrights and royalties. Alright, Suz take the mic! Music copyrights and publishing royalties are two of the most misunderstood aspects of the music industry. While one may cost you a pretty penny, the other can make you a few pretty pennies, and both are crucial for maintaining a career in music. Hopefully after reading this you’ll have a better understanding of basic copyright terms and the various avenues of revenue open to you and your music. Please note both topics are extremely dense and this is meant to serve as a basic introduction. To start, you want to avoid any confusion or drama surrounding who’s considered an author of a work (aka song). It’s important to have a split sheet agreement [click for free download] in place each time you record a song before you copyright it. You also want to collect all of the pertinent info for each author and/or claimant using this copyright questionnaire [click for free download] to make filing a copyright a lot less confusing. When you copyright your music every claimant of the work is entitled to 6 exclusive rights, including the right to reproduce, distribute, and perform the work publicly. It’s important to remember that each copyright application is $35 (for a single author of a single work) and $55 for all other works (i.e. multiple authors, multiple works). You also want to understand that just because you have one album doesn’t mean you have only one copyright application to complete. In today’s day and age of collaborations and features, a 13-track album could potentially have 13 copyright applications, depending on the authors, so it could really add up. You could have even more filings if the underlying works (the lyrics) were copyrighted separately from the performances (the sound recordings). But we’ll leave that from another time. Should you ever find out someone has infringed on your exclusive rights without your permission, and you decide to take them to court, an official filing allows you to seek additional damages (i.e. lawyer’s fees, emotional duress, etc.). If someone distributed your music illegally and made $100.00, without an official filing you’d only be entitled to that $100.00 only. I always tell clients if it’s in your budget and you’re music is really making the rounds, take the extra measures to protect your creations. So that’s how you protect your music. But how do you get PAID. Aside from authorship (copyright owner) there is a publishing side to songwriting. For the sake of keeping our sanity, we will be talking about one song with one single copyright owner. Think of a song as being 100% whole. Copyright owner makes up half of that (50%). Publisher takes up the other half (50%). If you are not registered with a Performance Rights Organization (PRO) like SESAC, ASCAP or BMI then you are both the copyright owner and the publisher, so you would be entitled to 100% of the royalties. If you DO register with a PRO (and I suggest you do, as they have vast experience and resources to exploit your music) then you share the publishing side of your song 50/50. That means you would own 75% of the song and the PRO would own 25% (or 50% of the 50% from publishing). Still with me? Performance Royalty – anytime your song is played on television, in a venue (i.e. played over speakers in a bar or club), live on stage, or on radio (including satellite & internet). Mechanical Royalty – anytime your song is reproduced (by you or someone else) on a physical (or digital) medium, regardless if it is sold or not. Synchronization Royalty – anytime your song is used in a movie, tv show, video game, commercial, or is “synced” with any other form of visual medium. Printed Music – anytime your composition is transferred to sheet music, lead sheets, etc. Sampling – anytime someone uses your song in a derivative work. If they use the composition only (not the actual sound recording) they do not owe anything to the copyright owner of the sound recording (aka the performer or producer), only the songwriter (although that could be the same person) and publisher. Musicians can make an entire living out of licensing their music. However, in order to make sure you are not missing out and are being properly compensated, you must understand what it is you are entitled to collect and how to protect your work. It’s like I always say, understanding the business of your music is what separates your music career from someone else’s hobby. Alexis speaking. I know that was helpful, especially if you are new to the music industry. You now know enough to be dangerous as it comes to copyright and royalties. 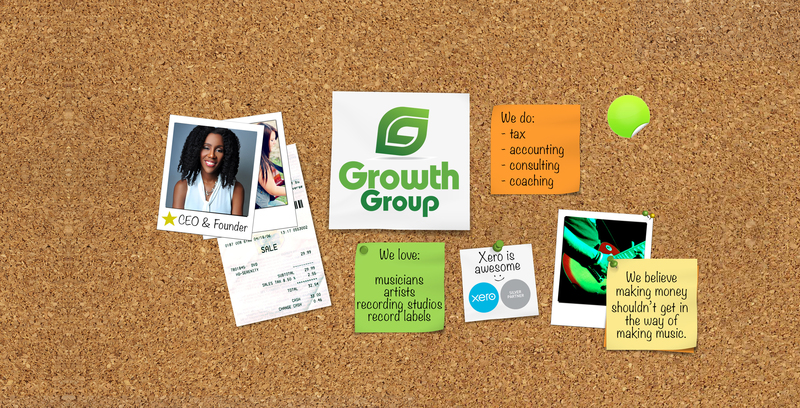 What other questions will help you on your music career journey?